FIND YOUR NE X T ADVE NTURE . Landmarked by the iconic Southern Alberta Foothills and west of Macleod Trail, lies the new community of Pine Creek. A new master planned community on the westerly edge of Chestermere. A new Okotoks community where modern craftsmanship, small town charm and picturesque views unite. 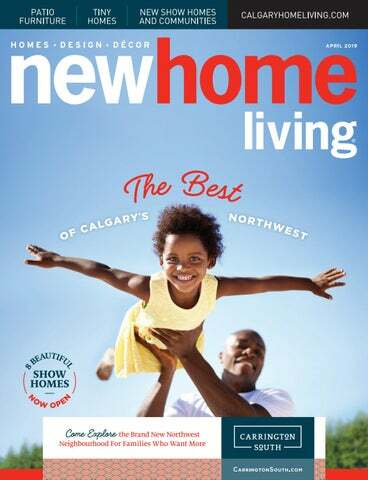 Southwest Calgaryâ&#x20AC;&#x2122;s most desirable new community, boarding the prestigious Sirocco Golf Club. Introducing a new master planned community where roots take hold and dreams come true. With home styles designed for all of life’s milestones — townhomes, laned homes and front drive garage homes — Belmont is a community that can support your family’s aspirations. With access to every activity and amenity imaginable, from hiking trails to shopping areas, golf courses and K-12 schools, it’s a place where opportunities unfold. Visit B E L M O NTCA LGA RY.CO M for more information. Well, it looks like spring is finally here. Haven’t seen any robins yet, mind you, but the sun is out, it’s not minus-20 C, and the line-ups at the car wash can make one wait up to half an hour to try and get the grime off from the melting slush. All sure signs of warmer weather ahead; in fact, yesterday was the first day this year I haven’t had to wear a heavy coat outside! Another sure sign of spring is the upcoming BILD Awards night — the most awaited industry event of the year. We have a partial list of the single-family finalists inside and I’d hate to be a judge on any of those panels, as it looks like a very tight race to the top. Our cover feature is the young community of Carrington South in the booming northwest edge of the city. We spoke to a few of the homebuyers here to ask what they found appealing about this new development From Apex Developments and H3 Developments, and for many, it’s about fresh starts. Of course, the location, the amenities, not to mention the builder group were also instrumental in their choice, but the newness of the community was something they all found exciting. Speaking of new communities, Vancouverbased Anthem is opening four of them in the Calgary area this year. Wedderburn in Okotoks, Pine Creek in south Calgary, Sirrocco at Pine Creek next door, and Chelsea in Chestermere spearhead Anthem United’s ambitious 2019 expansion plans, along with a ton of new condos and townhomes from their multifamily division. Bri-mor Developments is also enjoying enormous success over at their The Rise at West Grove Estates where roughly only a quarter of the lots remain. It is a hidden gem in the west end of town that people have to see to believe. We also check out the new show home from NuVista Homes in Evanston: the Rosewood. It’s the epitome of a family home in the newly established community of Evanston with tons of flexibility. There’s also Shane Homes’ Cornertstone Street Towns, the most popular home product in the market right now and their no-condo-fee appeal is just catching on. Brandi Holmes takes us on a tour of the best “spring things” to do in and around the city as the weather warms up, while Christina Loc gets us prepared for entertaining outdoors with her deck outfitting tips. Portia Yip clues us in on the best gardening tools around. Let me tell you, writing about those subjects in the dead of winter can be quite depressing, but it’s all for you, dear readers, it’s all for you. Show home parade in Carington South. with area manager Leon Kang. “We went to the Carrington area just to look, not really planning to buy, but we felt the connection with Leon.” They now live in their new three-bedroom, two-and-a-half bath home. “We felt like Excel really maximized the space in our new home, plus we like that amenities are nearby and of course the green space”, Sherie says. Ivy, who is building with Truman Homes, says she likes Carrington South’s proximity to her and her partner’s workplaces. “We mainly liked the accessibility of Carrington South. We learned about the planned developments for Carrington a little later, and we think it will definitely be something to look forward to.” Truman Homes has eight FDG models to choose from in Carrington South and offers custom design options. They are also the exclusive builder of no condo fee townhomes in the community. Their contemporary, urban style is something that has connected with the younger generation. “We chose Truman because we were able to customize our home with them and we liked the specifications that they offered,” Ivy says. why in the new show home on 16 Evansfield Crescent N.W. “Everyone just loves the design flow of the home, it has everything a family could want,” says area manager Carlos Martins. “A big kitchen that everyone can share in, a spacious bonus room at the top of the stairs for movie nights, a main floor flex room that opens up a lot of possibilities for whatever the family needs.” At 2,238 square-feet, the Rosewood is all about meeting the needs of the family. The walk-thru pantry is great for storage and helpful in keeping the family’s much needed basic supplies. The kitchen with a long centre island is roomy enough for the family chef. And the Great Room and Dining Room meld into one free flowing entertaining space essential for big, busy families and their friends. But flexibility is also key. “We can even put an extra bedroom and full bath on the main floor of the Rosewood, which is a design option that we’re seeing a lot more of these days,” he tells New Home Living. “We can personalize the home to suite the buyers’ needs.” Best of all is its location in Evanston. “It is a newly established community with plenty of already-existing amenities. You don’t have to wait years to enjoy the benefits of having groceries, schools and entertainment establishments near to home.” The Rosewood starts from $583,900 including GST, but NuVista’s front-drive homes in Evanston are from the low $500,000s. “We have a limited time promotion where we develop your basement for free,” Martins says. ABOVE The Deco plan is one of the star models of Shane Homes’ Cornerstone Street Towns. At 1,506 square-feet, its open-concept design uses every inch of living space. It has a good-sized central dining nook and a large living area where entertaining guests is practically called for. “It is very thoughtfully designed, and there are certain aspects in the home that I think you see more of in a single-family type dwelling or an upgraded home,” Geary says. S I N G L E - FA M I LY H O M E comfort at a multifamily home price, that has always been the appeal of Shane Homes’ line of no-condo-fee Street Towns. Ever since the multi-awarded home builder introduced the product in Skyview Ranch in the northeast, it has been hard to keep up with the demand. Now, building in Cornerstone, these unique Street Towns are beyond a doubt the people’s choice. The Cornerstone Street Towns have been particularly hot, as they have already sold out one of their five floor plans in the first phase. But area manager, Deb Geary, says there are still plenty of opportunities to own a stylishly affordable interior or end unit in this very popular development. It isn’t difficult to see why they’ve been so well received. These Street Towns are 20-feet wide so they feel more open and spacious than an ordinary townhome. All come with double-detached garages, luxury standard specifications, landscaping, fencing, and 10-foor-by-10-foot patios as part of the package, and best of all no condo fees. All models have three bedrooms and two-and-ahalf baths and have a developable basement that can potentially add two more bedrooms if the owners need more living space. “We put as much thought in designing the basement and they come standard with plumbing rough-ins, two big windows and eight foot ceilings,” Geary tells New Home Living. Shane Homes’ Street Towns also fit as many lifestyles as possible. “First time homebuyers, downsizers, people wanting to move-up from their rentals, extended families and single parents. And all ages — from working professionals to retirees,” she points out. The Street Towns are from 1,500 to 1,600 squarefeet and start from the mid $340,000s, Geary says. “Price point is another reason for our success, Shane Homes has the expertise to design a practical, functional home with stylish finishes and still remain competitive.” It’s location on the south side of the booming northeast community of Cornerstone is another appealing factor. “We are directly across from a future school site, accessibility is never a problem as we are just off Country Hills Boulevard and Stoney Trail, and there are already plenty of shopping, entertainment and commercial amenities surrounding the area, with more coming soon,” Geary says. The changing of the seasons is always a great time to start something new and what better time than spring! OPTIMISM MAY BE in short supply in Calgary these days, but Anthem remains bullish on the city’s prospects for growth. Confident enough, in fact, that they are launching “an unprecedented” number of real estate developments in both their land and multi-family holdings in and around the city. The developer is opening no less than four new communities in the Calgary area in 2019 with a total of 776 acres through their Anthem United land development arm, while bringing in 500 new homes in four new condo and townhome projects through their multi-family division, Anthem. It’s a multi-million dollar investment that squarely puts Anthem’s money where their mouth is. “Calgary is a core market for Anthem,” says Elva Kim, Vice President of Sales & Marketing, Anthem. “It is affordable, has a well-educated population and is a great place to raise a family. We see population and job growth continuing to strengthen and Anthem will be here providing great space to those people who need it.” It isn’t blind optimism either. “We see the slow but steady recovery in the new home market, people still want to live in Calgary and people are still coming to the city from other places in the country and the world because it continues to be an affordable and a vibrant place to live,” Kim tells New Home Living. “Owning a home here is certainly more affordable than Toronto or Vancouver,” she adds. “From land to multi-family to commercial space, we have a diversified portfolio of projects in the Calgary area and across western North America,” Kim points out. “It’s what allowed us to continue developing communities when a lot of other projects weren’t going ahead, and we’re proud of that.” Among Anthem United’s communities to launch this spring and summer are: WEDDERBURN IN OKOTOKS. It is a 160-acre site directly east of Anthem United’s other community, D’ARCY. The community will feature a new school site, parks, ponds a completed school nearby and Gateway Village, a 50+ acre mixed-use area that will be shared by Wedderburn and D’ARCY, providing all the amenities residents will need. The grand opening for Wedderburn is scheduled for May 25, 2019. PINE CREEK IN SOUTH CALGARY. It is a master planned community west of Macleod Trail. The community will be developed over seven to 10 years and at completion will be home to more than 3,000 people. Pine Creek will offer homes geared towards entry and move up buyers. The first showhomes and public launch are expected in the summer of 2019. SIROCCO AT PINE CREEK. This is a 176-acre site in the highly sought after Southwest quadrant of Calgary. The community will provide homes to more than 4,000 residents through a variety of housing types, including semi-estate homes and duplex homes overlooking the Sirocco Golf Course. The first showhomes will open to the public in the spring of 2019. CHELSEA, ANTHEM UNITED’S FIRST COMMUNITY IN CHESTERMERE. Chelsea is a 320-acre master planned community that on completion will have over 7,000 residents in a variety of housing types near schools, parks, neighbourhood shopping, pathways and an eco-park. Chelsea will open to the public with showhomes in fall 2019. These communities join the developer’s three other communities in the Calgary area, Cornerstone in the Northeast, Belmont in the South, and D’ARCY in Okotoks. All of Anthem United’s current communities in market are in various stages of development with active showhomes and more opening soon. On the multi-family side, Anthem is launching: • Landmark at Waterfront, the final phase of their master planned community in Eau Claire. New Anthem United Communities BELMONT • 12 showhomes opened in Spring 2018 and two more townhome showhomes opened in November 2018. At the end of January, Homes by Avi hosted a grand opening for their condo-fee-free townhomes and saw over 200 people to visit the showhomes. • In 2019, Anthem United will be bringing on phase two lots that will have both double and single garage homes available. Two townhome projects will also launch this spring/summer on the south end of Belmont from StreetSide Developments and Anthem. CHELSEA • Chelsea will be launching in Fall 2019 with three different home styles: front drive, duplex and laned homes. • Those interested in learning more should register at: chelseachestermere.com CORNERSTONE • 14 new showhomes will be opening in Cornerstone this spring. They will include laned homes from Shane Homes, Sterling Homes, JaymanBUILT and Morrison Homes. There will also be front drive homes from Shane Homes, and duplex homes from Morrison Homes and Shane Homes. • Anthem United will also welcome a new builder to the community, Luxuria Homes, who will be building condo-fee-free townhomes. • These showhomes will join the existing showhomes in Phase 2: Truman Homes’ duplex homes and Shane Homes’ condo-fee-free townhomes. D’ARCY • D’ARCY launched in May 2018 with eight showhomes. Two more showhomes opened in September 2018 and four more showhomes will open in April 2019. • This includes the first condo-fee-free townhomes available in Okotoks by Partners Development Group and the much anticipated villas by Morrison Homes that back onto the D’Arcy Ranch Golf Club. • In 2019, residents will see completion of the pond in D’ARCY with paths, a fitness park and a skating rink ready for the community’s use. PINE CREEK • Located south of Belmont, Pine Creek will continue to make the city’s growth area of West Macleod a destination for homebuyers looking in South Calgary. • Showhomes will open in early Summer 2019. Morrison Homes and Shane Homes will be selling duplex homes and Sterling Homes and Trico Homes will be selling front drive homes. SIROCCO AT PINE CREEK • Also located within the West Macleod area, Sirocco at Pine Creek is offering homeowners Calgary’s most desirable new southwest address. • The homes in the community will feature elegant architecture and future phases will have homes overlooking the Sirocco Golf Club. • Showhomes will open in late Spring 2019 with NuVista Homes selling duplex homes and Morrison Homes, Shane Homes, Sterling Homes and Trico Homes all selling front drive homes. WEDDERBURN • Anthem United is excited to announce that they will continue building in the Town of Okotoks with their new community, Wedderburn. • Wedderburn will be launching three front drive showhomes on May 25, 2019 from Trico Homes, Sterling Homes and Prominent Homes. Many of the lots back onto a pond. successful that the additional 89 lots were brought on and released ahead of schedule. “Knowing we have the product they desire, homeowners can get more home for the price, in the area they want and with all lifestyle amenities they need,” says Dhanahi. Some residents that are already living at the Rise love the established community and detail Bri-mor took with their whole vision of the Rise at West Grove Estates. “It was really nice moving into a community that was already developed. There is a lot of care and attention going into all of the green spaces and walking paths. Our home, backing onto a green space was a huge win!” says Russell Bell and Kayla Kaluzny. “WE HAVE A GROWING FAMILY AND WANTED TO BE IN A COMMUNITY THAT WAS FAMILY ORIENTED WITH GREAT SCHOOLS. HAVING GROCERIES AND SCHOOLS RIGHT IN THE COMMUNITY IS WONDERFUL! The Rise at West Grove Estates is truly a hidden gem that provides residents not only with an inner-city lifestyle being 15 minutes from downtown but also, tranquillity that comes with living outside of the core and only 60 minutes to the mountains. Another couple with a growing family living at the Rise also stated that having established amenities was a big advantage. “We have a growing family and wanted to be in a community that was family oriented with great schools. Having groceries and schools right in the community is wonderful!” says Kesa and Darren Robinson. The recent completion of the twinning of Bow Trail and the expected expansion of Stoney Trail that is well underway is only adding to the convenience and ease of living at the Rise on the west side of Calgary. 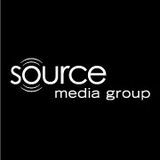 Starting price points have been COMMUNITY: The Rise at West Grove Estates holding steady in the mid $700,000s, DEVELOPER: Bri-mor Developments which is unmatched anywhere on the BUILDERS: Brookfield Residential and west side. Cederglan Homes “While we have created an affordSTYLE: Two- Storey attached garage able price point offering with the Rise, semi- estate homes we did not want to compromise the SIZE: Two storey from 2,000 sq. ft. and 1,200 Estate community feel,” says Dhanani. sq. ft. for a bungalow “Together with our premier builders, PRICE: Starting in the mid $700,000s homeowners can express their own HOURS: Monday to Thursday 2 to 8 p.m., taste and personality while designing weekends and holidays noon to 5 p.m. their home.” WEBSITE: www.risewestgroveestates.com From the moment a visitor enters the Rise, the aesthetics of stone, the use of smooth acrylic stucco, enhanced driveway materials, composite siding, and exposed and faux wood garage doors set the community’s curb appeal apart from the rest. The available four showhomes and over 200 completed homes in the West Grove community provide great inspiration and showcase the designs and styles available for homeowners to choose from. “Home designs have been created to reflect the ‘family unit’,” explains Dhanani. “They create a fully functional lifestyle that can cater to children, parents, grandparents, extended family and friends.” Homes being offered in the last remaining 25 per cent are a range of double front-attached garage two- storey or bungalow style semi- estate homes, sitting on lots that range from 34- to 38- feet wide and starting at 2,000 and 1,200 square feet respectively. P ABOVE Throw in an umbrella for those super hot sunny days and attach the Luna Umbrella Light and Bluetooth Speaker by Treasure Garden to provide extra lighting while allowing you to listen to your tunes. Umbrella is also from Treasure Garden called the Starlux AKZ Plus Cantilever and are both available at Wicker Land. RIGHT Look for heavy duty outdoor furniture. At Patioline, they carry marine grade steel that won’t rust and teak that will weather nicely outdoors. Shown here is the Equinox Bistro Table by Barlow Tyrie. umbrella, rugs and toss cushions are outdoor viable. Throw blankets, however, do not need to be rated for outdoor use as long as you remember to put it away after each use. This way, you can have the best of both worlds by having an all-in-one area where you can lounge and eat while still making room for the barbecue. Tip: At Patioline - Outdoor Forever Furniture, a retail store in Calgary, they emphasize the importance of looking for heavier duty outdoor furniture. They carry marine grade steel that won’t rust and teak that will weather nicely outdoors. For high wind areas, especially in high-rise condo units, they also suggest looking for patio furniture that have Velcro or ties to secure the cushions. ABOVE The Aura ComfortPlus Infrared Heater provides is designed to warm people and objects without heating the air in between. This heater can be used all year round as it is weather proof and can be left outside. LEFT Outdoor living has become such a big category that the possibilities are endless. The Zen fire table by O.W. Lee sits at chat table height giving you the best of both worlds by having an all-inone area to lounge and dine. Available at Wicker Land. The patio should be treated as an extension of your home. You want it to be entertaining, inviting and comfortable. ince November 2017 when the initial tiny home village was pitched to the Town of Okotoks a lot has changed. The original location in Kinsmen Park has since been changed to a 10-acre plot of town owned land in the community of D’Arcy — and as of February 11th, council has approved a conceptual design for. Vagabond Tiny Homes are the builders of this one-of-a-kind eco village, gearing up to be the first of its kind in Canada. Homestead Comunity Greenhouse and Winter Garden Concept. There will now be a total of 40 homes in the eco village ranging from 380 to 600 square-feet, all permanently fixed to concrete foundations — which means no wheels — and feature large outdoor decks. Privacy landscaping will also be included to surround the micro homes to add that little extra something to the already environmentally conscious space. The homes will be released with a mixed market in mind. There will be affordable market rate rentals, short-term vacation rentals, and for purchase units. The entire village will be wheelchair accessible and 15 per cent of the tiny homes will be built with accessibility in mind, and another 15 per cent will be reserved for Indigenous residents. The core of the micro home eco village will be the central community building where there will be all sorts of amenities to fulfil residents’ needs. This building will feature an industrial sized kitchen and dining room for event hosting that exceeds the limits of a tiny home, private storage lockers for each home, rentable working/ office space, functional meeting rooms and a large outdoor gathering space. A lot of the details for the eco village are still in the works but the town and Vagabond welcome any and all input from the public. The total 10-acre project will initially be named the “Homestead Project” and will consist of 7.2 acres of community space with the 2.8-acre ecovillage as a subdivision. “The vision for the Homestead Project provides Okotoks the opportunity to model environmental excellence and sustainable urban design,” says Mayor Bill Robertson. The eco village will be developed in the first phase of the project with a variety of other community amenities phased in overtime. Such as several community buildings, flexible programming space, parks with trail networks, an amphitheatre, a commercial green house and community gardens.